Annmarie Skin Care > Healthy Lifestyle > Earth Day—10 Tips To Boost Your Green! Earth Day—10 Tips To Boost Your Green! Yes, it is tree related. No, there aren’t lights on them. Yes, it involves your mom. No, you don’t have to search far and wide to find her the perfect gift. Are there cookies? I’m not sure. It’s Earth Day! A day when you can ask your friends what their favorite animal is without sounding weird. A day for hiking, volunteering, and thinking up ways to make Mother Earth a little greener. Our lifestyles are unsustainable in a lot of ways, so it seems like the only options we have are to be riddled with guilt, hide our heads in the sand, or go off the grid and start from square one. If none of those choices sound appealing, our team put together some tips to help you make your footprint a little bit lighter this month, and hopefully in the long term as well. A lot of people said they love to walk to save gas and use their legs. Some offered suggestions for green products. Pick a few or try them all! 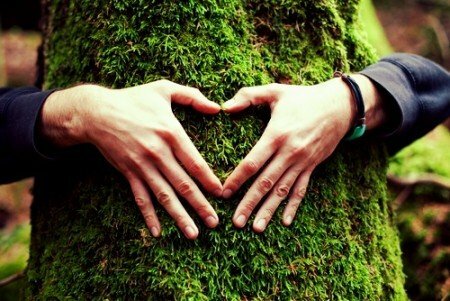 You may find you love incorporating these green habits into your life! Walk or take public transportation. If it’s plausible for you to get to work this way, forgo your car once or twice a week. You’ll give yourself some extra thinking time and/or exercise, and spare some fossil fuel consumption as well. If you have a grocery store nearby, walk there with a friend as a good way to catch up while also running an errand. Turn your lights off when you don’t need them. Hassle people mercilessly if they fail to do the same. In the same vein, unplug your appliances when you aren’t using them. Some energy is still used if a plug is connected, and really, we don’t need more waves traveling through the air. Use clean cleaning products. Mrs. Meyers has household products that are free of chlorine bleach, ammonia, petroleum distillates, parabens, phosphates, and phthalates, with scents inspired by her Midwest garden. If you germs make you squirm, choose a hand sanitizer with herbs! The Citrus Herb Hand Sanitizer from Clean Well is our favorite. Buy used clothing, sell your used clothing, or even better… swap! Keep your wardrobe fresh without adding to the production of new clothing—which requires materials, energy to run factories, and fossil fuels to transport raw materials as well as finished products. Stores like Crossroads and Buffalo Exchange stock gently used clothing, shoes and jewelry that reflect seasonal trends and are screened by stylistically gifted employees so you don’t have to do as much digging to get to the gold. Sites like Swapdom take it one step further, allowing you to trade your items for no money at all (except shipping). BYOC. Bring your own container! Mesh produce bags allow you to skip the plastic ones at the store, and you can also use them for nuts, beans, dried fruit, and the likes from bulk bins. Bring your own containers to restaurants to avoid using disposable containers to take your leftovers home. If you are a morning tea or coffee person, try this challenge: use a reusable mug or tumbler every day for a month! Think of how much waste you can avoid doing just that! Pick the best one. When you have to buy something plastic or disposable, try to go with versions that use less packaging and are compostable or recyclable. Of course, it’s convenient to have 100 calories of almonds portioned in plastic, but if you buy bigger sizes and portion them out yourself, the Earth will thank you. For mamas out there, cloth diapers are loved by many as a way to avoid adding to landfills and the waste associated with producing disposable diapers. Not your thing? Use diapers that decompose! We like these. Keep your freezer full. It takes less energy to keep things cool that way! As if you needed an excuse to buy both flavors of sorbet. Avoid GMOs. GMO crops are destroying our soil, air, and water through the use of copious amounts of pesticides as well as drastically reducing the planet’s biodiversity. Read more here. Sign up for e-bills. Your local credit union is not your pen pal. Reduce your meat consumption. You’ve probably heard of meatless Mondays or had lengthy conversations with your passionately vegan friend. While going completely meatless isn’t the best option for everyone, the fact of the matter is that meat production is far more resource-intensive and than crop production. Have fun experimenting with weekly or daily vegetarian meals. Be daring and try a new type of bean! Introducing new, healthy, plant based foods into your diet will be good you and your galactic mother. It may not be as exciting as Christmas or as dramatic as Valentine’s Day, and it’s definitely not as sweet as Halloween, but on Earth Day this year we hope you take a second to appreciate the planet and everything it has to offer! Watching a funny animal video on You-Tube counts. What do you do to boost your green? We'd love to hear about what lifestyle changes you've made to support the planet! Excellent Ideas. My family has been buying used clothing, shoes, kitchen ware, furniture , linens , toys, books, fabric for quilts, etc. from Salvation Army and Good will for years. just wash items very well and you are helping the home budget and recycling wonderful items. Plus it’s fun to see what treasures you can find.